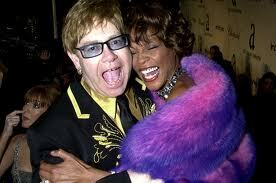 Elton John A "Dead Ringer" For Whitney Houston? In a recent interview, Elton John admitted that he could have ended up like Whitney Houston. 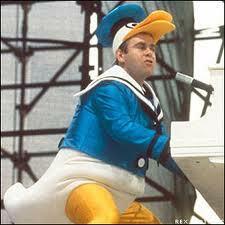 - Plus, I don’t ever remember Whitney Houston dressing up in a giant Duck suit. - I think he’s more like Lady Gaga. Between his duck costume and her meat dress, they’re kind of like the “Surf & Turf” of pop music.